You are here: Home / Ethnic Groups / The People of Sulawesi / Who are the Pannei? 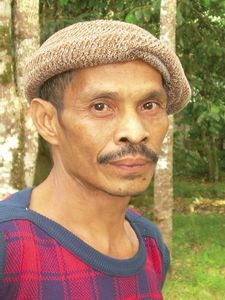 The Pannei people live in the West Sulawesi province. They speak Pannei in their daily lives. This language has two dialects: Tapango and Bulo. The Pannei language is part of a larger linguistic grouping called the Pitu Ulunna Salu, which also includes Bambam, Dakka, and Ulumanda. The Pannei make their living in various ways. They work as farmers, fishermen, craftsmen, traders/merchants, and government officials. The craftsmen are usually known as tukang or panre. Other jobs include government positions and the military. In the past, guerilla-fighters were called pa’barani (courageous persons). Initially, these warriors served the Bugis kingdom against other kingdoms, but later they fought against the Dutch colonialists. The pa’barani were reputed to always be eager to fight, engaging in conflict or war without regard for personal safety, for the glory of the king and kingdom. Almost all Pannei people follow Islam. Their area has many mosques and prayer houses for worship. The goal of the Islamic leadership in the area is to have a mosque or prayer house within easy walking distance for each family. At the same time, traditional animistic beliefs are still strong in daily life. The services of a dukun (shaman/healer) are often sought for many purposes, including healing the sick and exorcising evil spirits. The Pannei believe in the power of spirits that inhabit sacred places and are thought to bring either misfortune or prosperity. They believe that the departed spirits of their ancestors are alive and able to watch over the behavior of both adults and children. Due to these beliefs, a system of veneration and worship of these spirits has emerged, typically taking the form of ceremonies and ritual offerings. The Pannei are viewed by outsiders as being “behind the times,” closed off, and impoverished. If this is accurate, and the Pannei are open to outside help, a wide variety of assistance could be given to help their progress. A wide range of new employment opportunities needs to be created. Formal education and vocational training in a variety of skills would be helpful. There are also many infrastructure needs in the area that could be addressed to help the Pannei people.